Sgt. Olen T. Taylor, son of Mr. and Mrs. R. D. Taylor, attended Tipton Schools; husband of the former Muriel Coppidge. 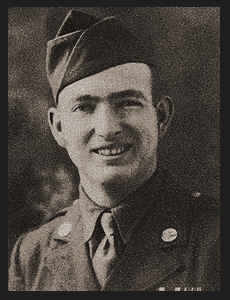 Entered Army in Sept., 1942, trained in Lubbock, Texas, madison, Wis., Salt Lake City, Wendover, Utah and Sioux City, Iowa; served in England, Azores, Newfoundland; is now discharged. Awarded Good Conduct medal, ETO Ribbon with seven Battle Stars.